A resolution authored by state Sen. Bill Dodd, (D-Napa) and passed with bipartisan legislative support designates this week - the third week of September - Child Passenger Safety Week in California. The bill was sponsored by the Automobile Club of Southern California, AAA Northern California and supported by the California Highway Patrol. Senate Concurrent Resolution 77 recognizes that fatal vehicle collisions account for 25 percent of injury-related deaths for children and encourages law enforcement, healthcare and safety organizations to observe the week with educational programs to ensure the safety of California’s children. Despite stricter state laws, compliance and misuse of child passenger seats remains a challenge in this country. Misuse of child seats is even a greater concern. Nationally, four out of five child safety seats are not properly installed by parents, according to experts. 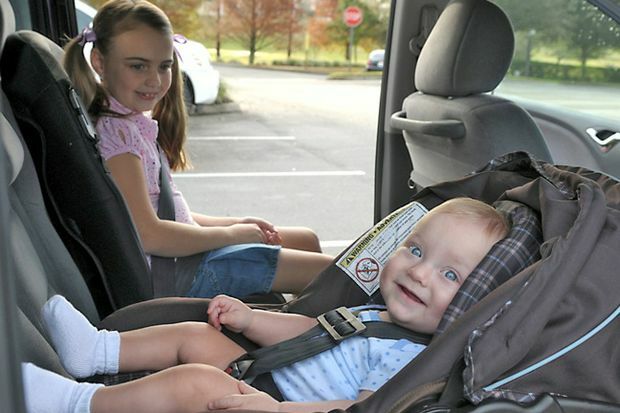 Properly installed child safety seats can reduce deaths by as much as 71% for infants, and 54% for toddlers ages 1-4. In 2015, California had 7,845 occupant protection violations for children 0-16, according to the California Highway Patrol. Many children in the United States are either not properly buckled in or are found to be riding in age-inappropriate seats. In California, nonprofit organizations implement year-round child passenger safety programs; and the California Highway Patrol has worked for decades to reduce the death rate among children through traffic and passenger safety trainings and presentations. Supporting ongoing efforts such as these, to educate adults of the most effective passenger safety practices, is paramount to ensuring that children are not needlessly put in harm’s way, noted Lorz Villagrana. The week is commemorated by encouraging law enforcement, healthcare organizations, passenger safety specialists, and child advocates to observe the week with programs, ceremonies, and educational activities to continue efforts to ensure the safety of California’s children through public education and enforcement of child passenger restraint laws and effective passenger safety practices. “Child passenger safety is an important issue for the Auto Club and we thank Senator Dodd and the state legislature for passing SCR 77 to promote the importance of traffic safety and keeping our children safe,” Lorz Villagrana added.